I am a DRE, in my third year of directing a program. I also have over 15 years as a catechist, several years as a classroom teacher, and hold a Masters in Education. One of the most important things I have learned over the years is that parents matter. Parents matter so much in the education of their children, in their moral upbringing, and in the people they ultimately become as adults. The popular culture tells us parents don’t matter. The popular culture could not be more wrong. There is no greater example of this than in the passing on of religion to their children. A study from researchers at Notre Dame concluded that if parents are not involved in the religious upbringing of their kids, then only 1 in 100 will practice their religion as adults. I will even be so bold as to say that if the parents are not involved, we might be wasting our time teaching the faith to the children. Or, at the very least, by not insisting on parent involvement in faith formation, could we be enabling parents not to fulfill their obligation as parents? Parents (not all of them, by the way) have determined that by either dropping their kids off at Religious Education, or sending their kids to Catholic School, they have done their job of passing on the Faith to their kids. Well-meaning maybe, but it occurs to me that parents cannot pass on what they don’t have; we have a couple of successive generations that were not properly catechized, and while they still feel they want their kids to be Catholic, they do not always have the knowledge or background to do anything more. They simply cannot pass on something they do not have. So, some abdicate their responsibility to well-meaning people like us. What if we helped the parents gain more knowledge about their faith, get them excited about being Catholic, and equip them to pass on the Faith to their children? I began my journey as a catechist 20 years ago. My husband and I decided to teach 7th grade girls together at our parish. We had text books, and our teaching manual ready to go, excited to make a good impression on these not so eager to be there 7th graders. I still remember the look on their faces as one girl yelled out, “THIS IS BORING!” I was shocked at her response. Not only were the materials not engaging, and as much as we tried, neither were we! We couldn’t do it on our own. 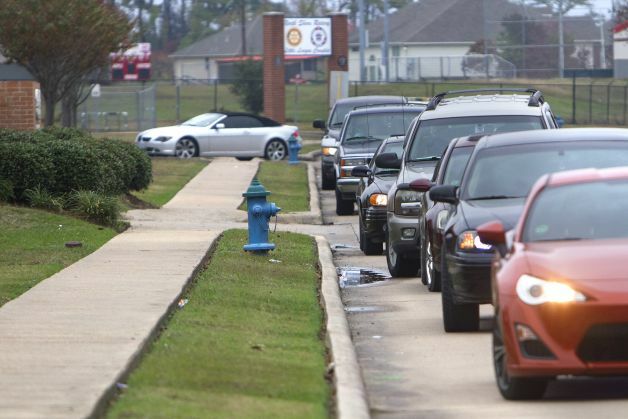 So during that class, as we looked out the windows at the line of cars filled with parents waiting to pick up their children, we knew there had to be a better way. A few years later our DRE at the time began a new, innovative program involving the parents, called Family Faith Fest. Families came together once a month, starting with community in the cafeteria over a light continental breakfast. After prayers, everyone goes to their respective classrooms; with the parents and children being catechized separately. The classes end with just enough time for the families to make the 11:30 Mass. My husband and I volunteered to teach the adults. It proved to be an enlightening experience. On our first day teaching the adults, part of the class was looking up verses in the Bible and then discussing them. We asked the class to turn to a certain verse, say, John, Chapter 3, verse 16. Immediately, a hand went up – one of the parents said, “I went to Catholic School, I don’t know how to read the Bible.” She wasn’t apologetic or ashamed. Just matter of fact. She was there to learn. The parents were taught the same curriculum as their kids – just in different rooms, and not in the same way. The adult classrooms, in addition to learning the same lessons about the Faith as their children, became small groups of people trying to raise their children the right way; erupting in positive discussions about what it’s like to be a kid today, technology, bullying, examples of living the faith as a family, and many other topics. Through the years, we saw changes in some of the parents. We saw more of them at Mass – some even became Catholic. Families came back to the Church by relearning the Faith, getting clarification on doctrine, and feeling welcomed by the class members. Priest involvement not only gave the families a connection to the parish, but their knowledge helped to enhance the program. Through family service projects, the families worked together to help others in the community as well as our own parish. Parents do matter! Most importantly, parents were engaged with their children in passing on the Faith. 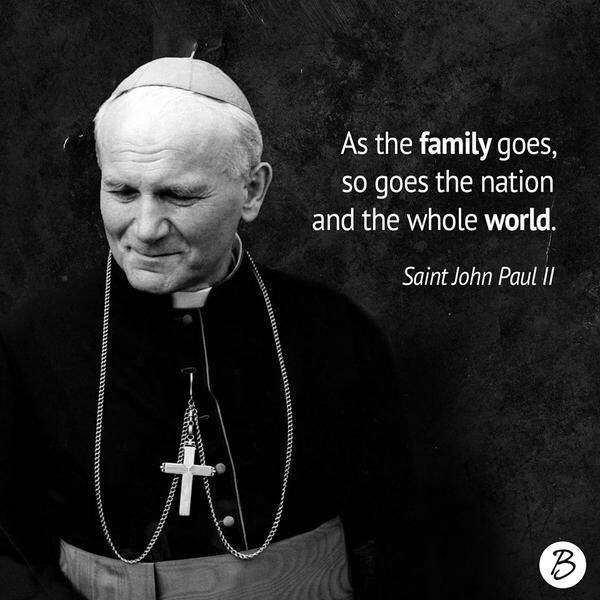 They were, as Saint John Paul II put it, becoming “fully parents.” They learned the Faith, applied the Faith, lived out the Faith, and therefore, could pass it on. Not that this was the case with everyone. Some took advantage of the program because it was a once a month commitment instead of once a week. But, even among many of those who did not want to be there, we saw glimmers of hope. At least they were there! All of us, you and I, continue to look for ways to involve the parents in our programs; each year tweaking things, trying to come up with a better program. New curriculums become available, each claiming to have everything you will need for a perfect program. What we need is to educate parents, give them the confidence and the ability to pass on the Faith, and partner with them by providing the resources they need. Yes, parents do matter. We as DRE’s, Principals, Pastors, Teachers and Catechists, need to meet them where they are and empower our parents to live out the Faith, day by day, and lead their children to heaven. Maybe it’s time to rethink how we approach catechesis! Julie Schoonover can be contacted at jschoonover@stpatrickparish.org. So, how do you involve the parents in the faith formation of their children? If you have something that works, share it – we’d love to hear from you! Click here, to view a webinar titled, Parents as Primary Teachers of Their Children’s Faith. Go on…it’s only 30 minutes long! Click here to learn more about the Faith and Life Family Guide from your friends at Ignatius Press Religious Education.